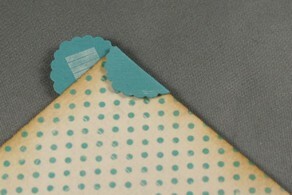 Only five days remain until Papertrey Ink will be taking pre-orders for the super fab scalloped punches from Marvy! 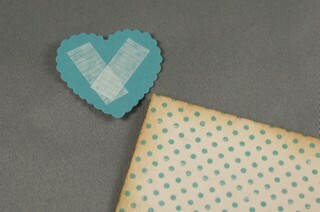 One of my favorite new shapes we will be offering is the heart. It will be available in four sizes and is so fun to play with! Today’s project utilizes the smallest of the hearts (referred to as extra jumbo). 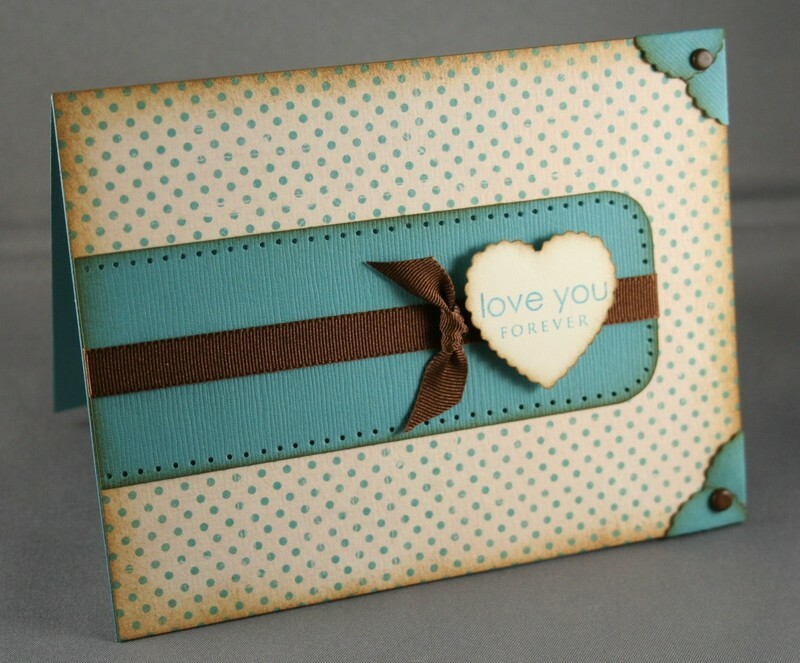 I found that most of the Faux Ribbon sentiments fit inside, making this particular heart punch a fun way to make your greeting the focal point of your project. I also discovered an easy way to turn the hearts into unique scalloped photo corners. 1. Punch heart from cardstock. Apply adhesive to the back. 2. Adhere heart to the back corner of your card front, allowing the "arches" of the heart to protrude from the edges. 3. Fold over one arch onto the cover, using a bone folder to crease into place. 4. Repeat step 3 for the opposing arch. For my final project, I also added brads to the corners as a finishing detail. And just think, the larger the heart utilized for this technique, the larger the photo corner you could get! What a gorgeous card! I love it! The corners look great. I soooo love this card! What an awesome idea for that punch! I guess I’d better start making out my list. man, and i thought i’d never use a scalloped heart punch……such an enabler! 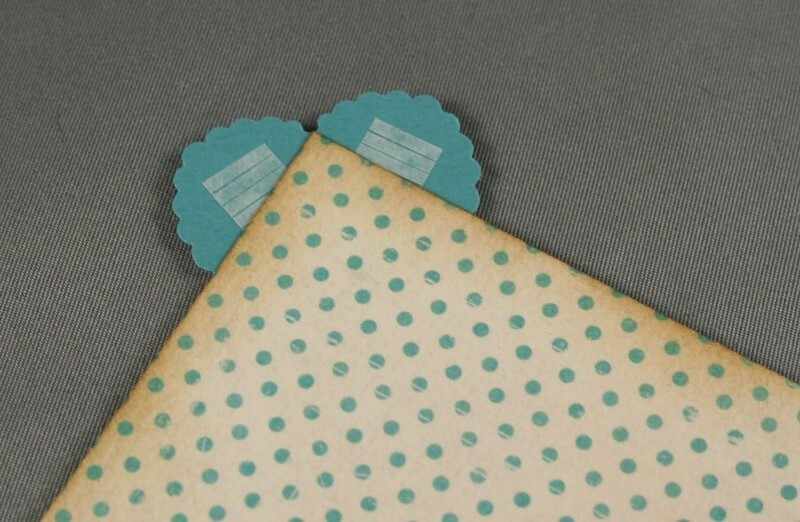 Wow, I wasn’t interested in the scalloped heart until now, I love the corners! What a GORGEOUS card, and what a wonderful idea for using the heart punch! Oh, great — and I didn’t think I *needed* the heart scallop . . . what an adorable use for it, Nichole! Great idea and the card is adorable! Thanks for sharing! Oh my. This punch was never a “must have” item on my list until now! 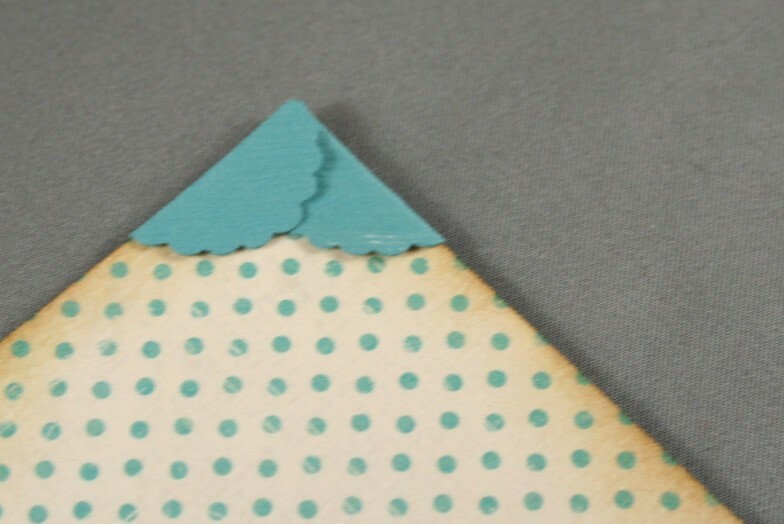 I agree with all the comments – a scalloped punch – naw – but now it is a must! The color combo is my fave! Thanks for all the inspiration! By the way, what size punch did you use on this card – though I have a part time job for my hobbies I can’t have a each punch in each size in each category! Sooooooooooooo cool! Love that idea. And that card is stunning. What a cute card and a great idea! This is fabulous! Love the colors, paper, the whole design! OH MAN! NOW I NEED THE SCALLOPED HEART! CORNERS ARE AWESOME! THANKS FOR SHARING! Beautiful card! What a great idea to use the heart as a corner deco! Wow! What a great idea. And such a sweet card – in my favorite colors to boot. Very beautiful card as usual…I am off to case the idea!!! Duh, I was so taken with the stunning card, now I read what size of punch. Sorry! Okay…now I “need” the scalloped heart! You make it look so easy! That is really amazing! What an awesome idea. I just love your work. So beautiful. What a great card, what a great blog. Those are absolutely incredible. What a great idea!